Marilyn Casumpong lives in San Fernando, Philippines, with her husband, Francisco, and their children. Many years ago, Marilyn opened a convenience store to support her family since her husband's income as a laborer was usually not enough to cover the family's needs. Running a business was a great struggle for Marilyn and sometimes affected the stability of her capital. When she was introduced to Opportunity International, she knew it was the financial assistance she needed. Marily never imagined that Opportunity would have such a great impact on their lives. She explained how she is grateful for the many important life lessons she was taught and the assistance she received to help her reach her dreams. Marilyn used her loans to purchase additional products for her store, to better fulfill her customer's needs. 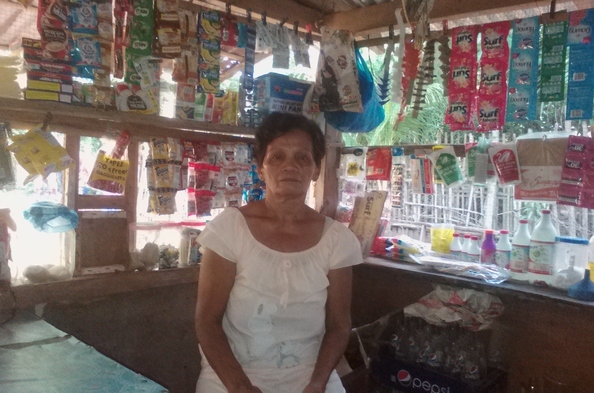 She is planning to continue to invest in her business so she can increase her income and support her family.